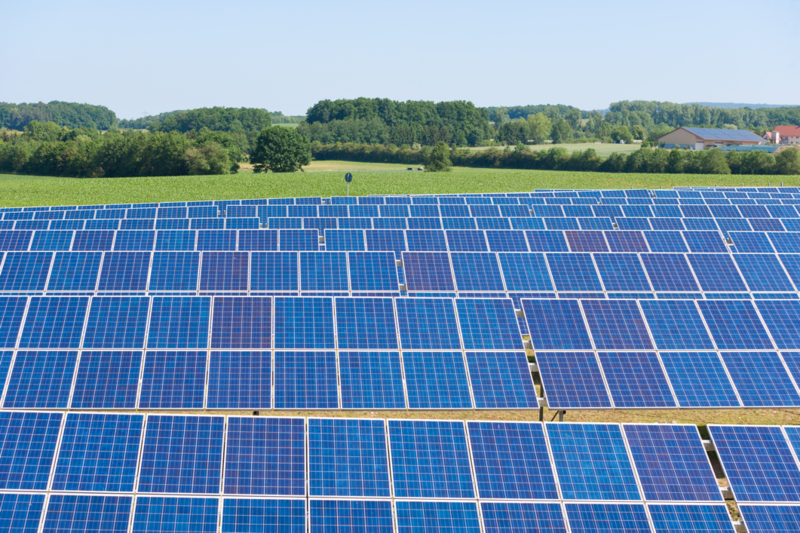 Solar power is a relatively new and increasingly important source of electrical energy for business owners, utility companies, and homeowners alike. To ensure any energy system is performing as expected it needs periodic inspections. 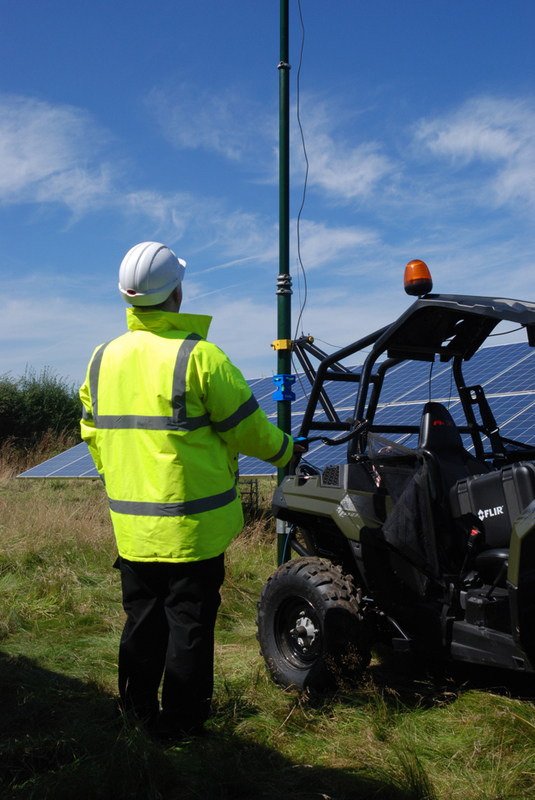 Solar PV systems are not exempt from this requirement. 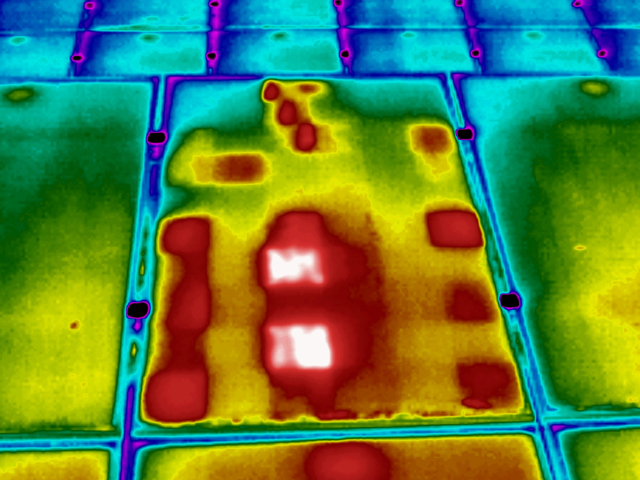 Infrared thermal imaging technology offers an efficient and accurate way to spot damaged solar cells, even in large arrays. Preventative maintenance to lessen the likelihood of any failures and thus preserve the life for as long as possible so the original condition of the energy system is sustained. 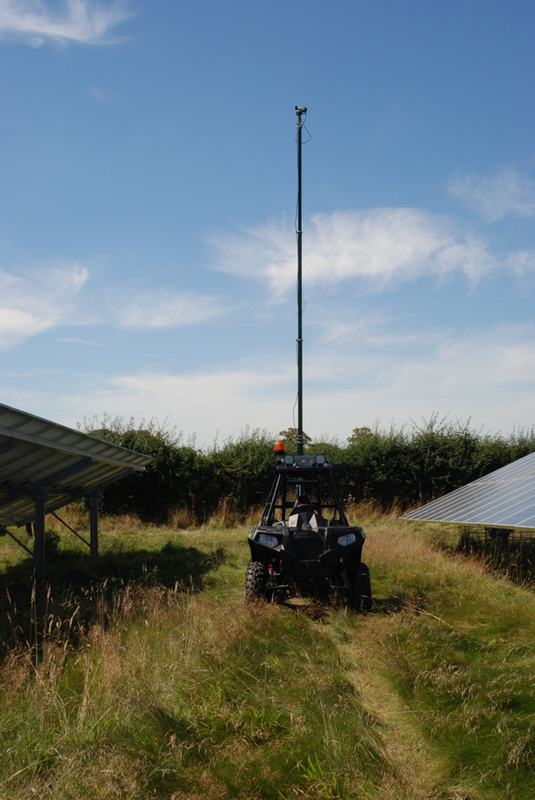 With solar farms around 10 MWp or less we tend to deploy a specially modified survey vehicle. 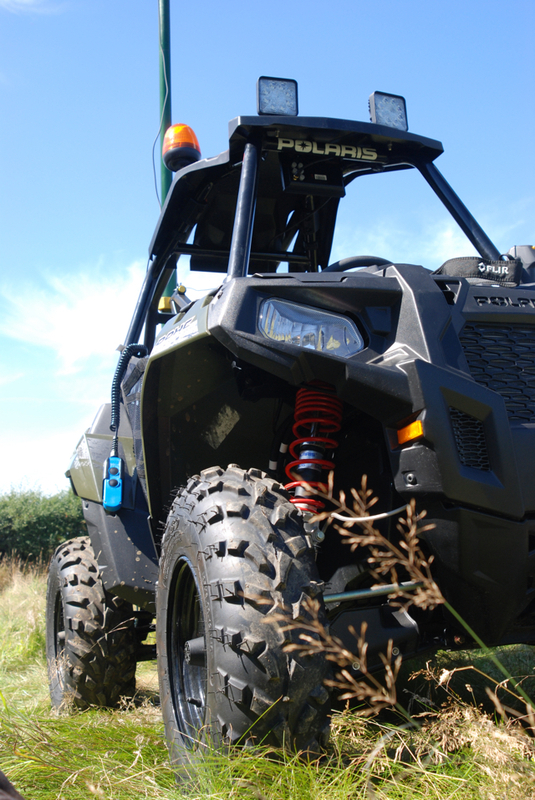 We can either work with a retractable mast or the vehicle is designed with a platform for a second person to scan and photograph as we move along. 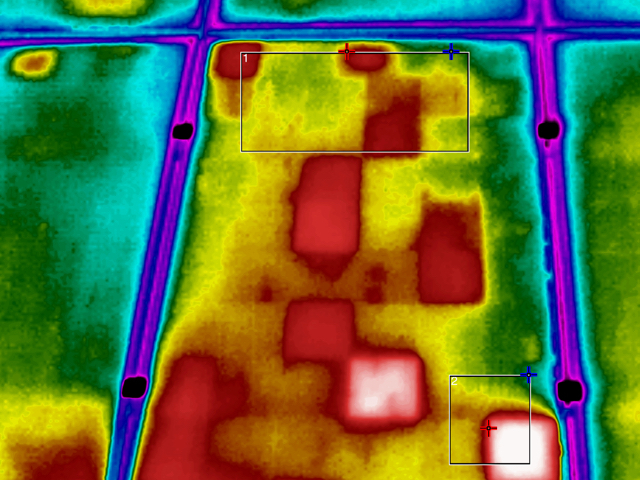 Our approach offers ground level/close up inspections along with a spatial analysis. 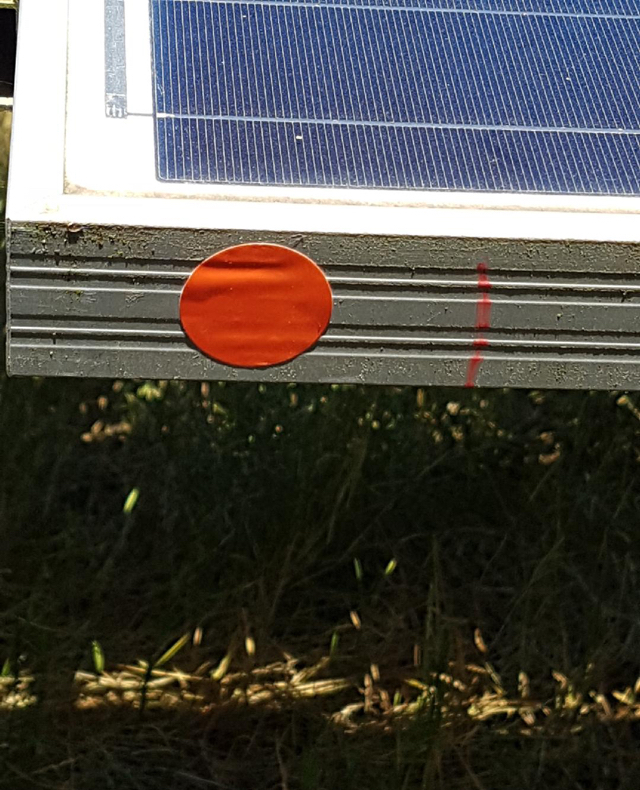 Faulty/damaged panels are subsequently marked with a bright orange weatherproof peeable sticker and permanent paint pen for ease of identification which is helpful for the maintenance team. Essentially, you know exactly which panel is defective and a report to flag up the extent of the problem. 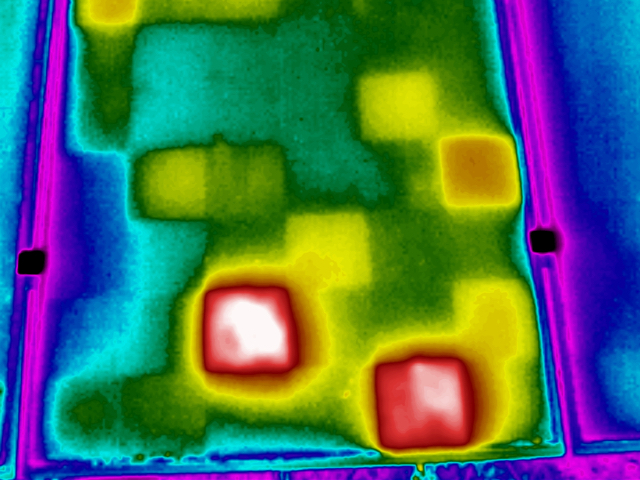 What shows up on a thermal image includes cracked cells, faulty diodes, moisture penetration, shading, bird droppings and Potential Induced Degradation (PID) all of which affects the performance of the module. The problem is they all have a larger or lesser impact depending on the degree of resistance caused by the poor connections. A poor module in any string of modules can have a major impact on the overall energy generation performance. 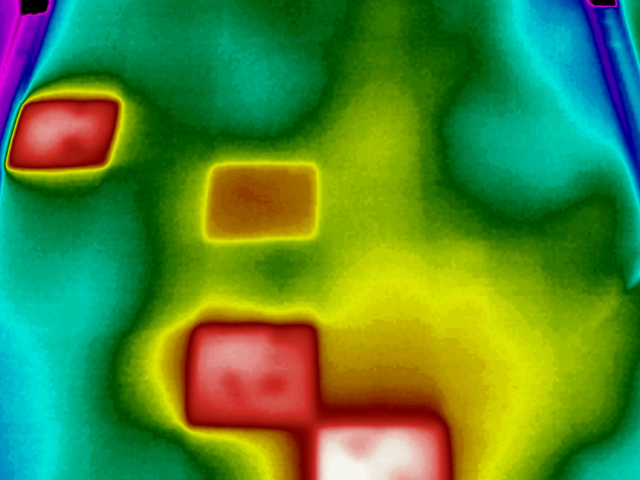 The date and time of taking the thermographic image along with metrological conditions. Monitored throughout the course of the inspection period. We analyse every real issue picked up and in accordance IEC 61730-1 and using delta T measurement provide a traffic light system to highlight what further action we suggest may be required, or not as the case may be. 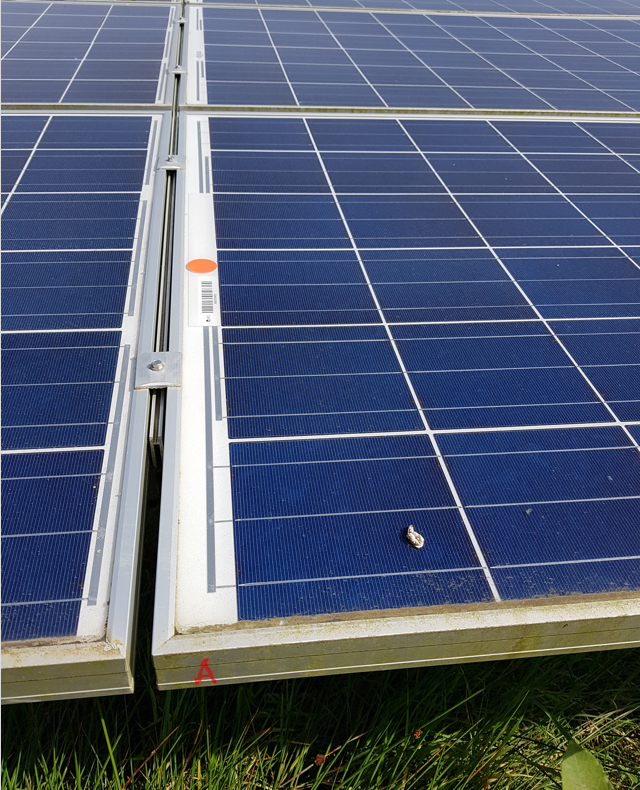 Heat Tight carried out infrared inspections of over 90MWp of PV systems during Spring/Summer 2017 and provided reporting on all the findings. 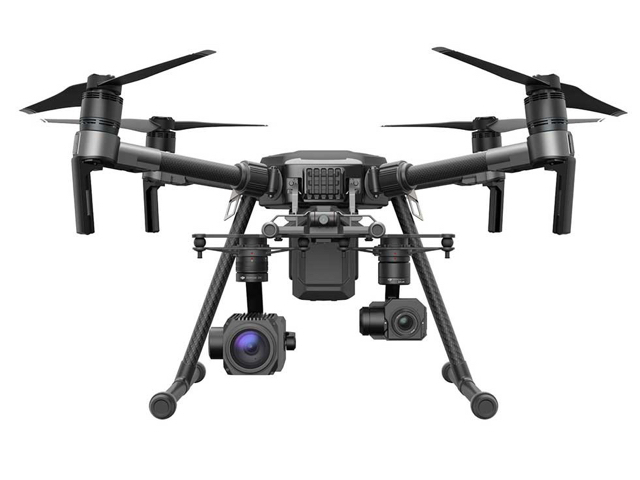 We can also provide inspections for homes which will be conducted with the use of an aerial UAV or telescopic mast.